Choosing A Humidifier Vs Air Purifier For Your Baby - Which One? 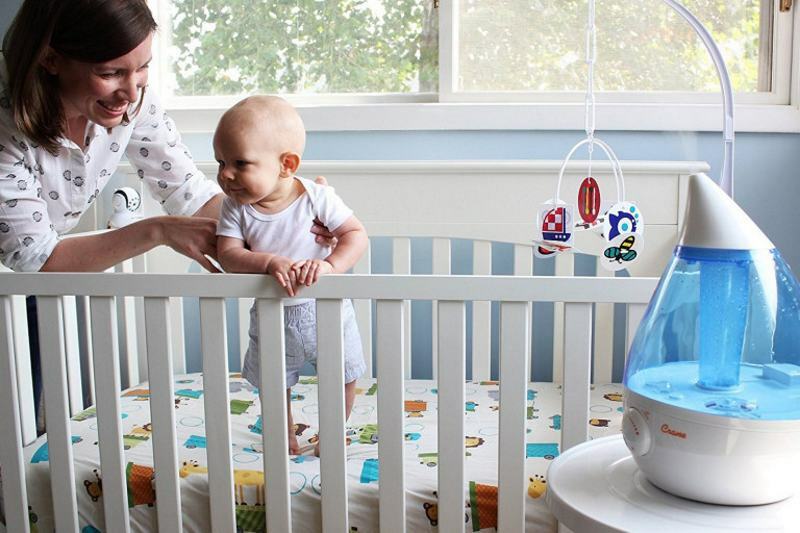 Home » Information » Choosing A Humidifier Vs Air Purifier For Your Baby – Which One? The quality of air where you live can have a big impact on the well-being of your baby. Air purifiers and humidifiers are two very different products with different purposes. In some ways they’re a compliment to each other. I understand how it could be confusing which is right for your little one. Perhaps you’re trying to decide on a humidifier vs air purifier for your baby. I’ve written this post to help explain what each does as well as compare the two. Your baby’s health and comfort is important and I’d love to help you make the best decision. 2. What does a humidifier do for babies? 4. What humidity level is best for my baby? 7. How do air purifiers work? 9. Can I use a humidifier and an air purifier together? Common colds and other sicknesses are actually more difficult when the humidity in your home is low. For best recovery from colds and sinus problems a comfortable humidity level is recommended. Babies and children are more susceptible to air quality than adults. Keep your baby comfortable and healthy especially in dry climates and during the winter when humidity is very low. The humidity level in your home can greatly influence how you feel and has a big influence on respiratory problems. It’s a numerical percentage used to express the amount of moisture content in the air around you. For reference, a typical home should have a recommended humidity level of about 30%-50%. Much like the outdoors during winter time, homes that heat cold air using indoor heating (especially a wood-burning fireplace) may see a significant drop in humidity and the effects of dryness on your baby will become apparent. A level of 10%-20% is typical. If you live in an area with a dry climate the same effects can be seen depending upon your environment. Very dry air dries out mucous membranes in your child’s nose, eyes, and throat. Your little one can become very uncomfortable. Sleep becomes more difficult and a baby’s breathing can become difficult as well, as babies are more sensitive to environmental air quality than adults. Unlike an air purifier, humidity-related symptoms that resemble allergies aren’t due to increased irritants in the air. They’re triggered by more particulates becoming active due to no longer being slowed due to moisture. Much like how a very dry room can show more dust, a room with lower moisture allows allergens to move more freely and enter a child’s lungs. A humidifier works by turning water into vapor and releasing it into your home’s air. This raises the humidity back to a comfortable level. In turn your baby can breathe better and the symptoms of dry air listed above are reduced and even eliminated! Here’s an excellent post that explains more about humidifiers. 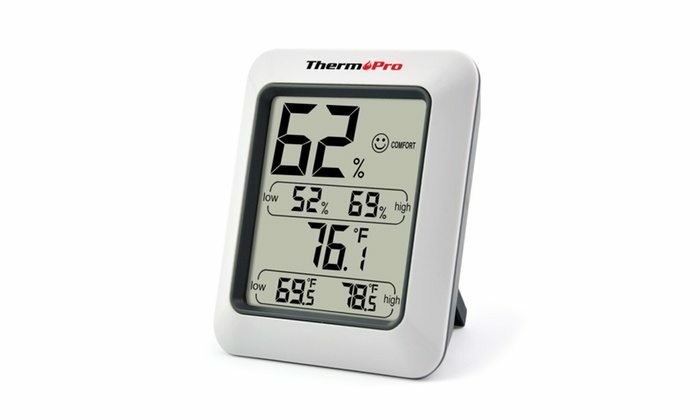 A product like this displays the temperature and humidity in your baby’s room. They’re low-cost and a great way to monitor the actual comfort levels for your baby’s air. During times when the heat is being used you’re highly likely to see the humidity drop excessively! A simple way to be able to check the humidity level for your little one is to use a hydrometer (humidity level) gauge. My recommendation is to use a simple & inexpensive temperature gauge with humidity readout feature. Here's a great example of one I recommend. These are inexpensive and work well. They’re fairly accurate and I use them both at home and work. Because of owning one I was able to detect that my colds and dry skin were being aggravated by the dry air. With my heat running I could see a dramatic decrease in my home’s moisture level – well below 25%! After buying a humidifier for my room my quality of comfort greatly increased. With the humidity now between 40%-50% or so again I felt much better and could sleep much more comfortably. What humidity level is best for my baby? For most people (and it depends on each individual person) the general range is between 30%-60%. Above 60% and your baby may start to become hot and perspire as high humidity keeps the body from being able to cool well. Below 30% or so and the body begins to feel cool and the symptoms of dry air become apparent. A great rule of thumb is about 40-50% humidity in your baby’s room and your home. That’s an approximate number and you don’t have to worry about getting it exactly within that range. I’m confident that once you’ve experienced the symptoms that low humidity cause you’ll notice the relief provided by a humidifier. There are a number of different types of humidifiers sold today but most can fit into one of 2 major categories. Mist humidifiers work by changing water into tiny water droplets which are released into the air to add moisture. 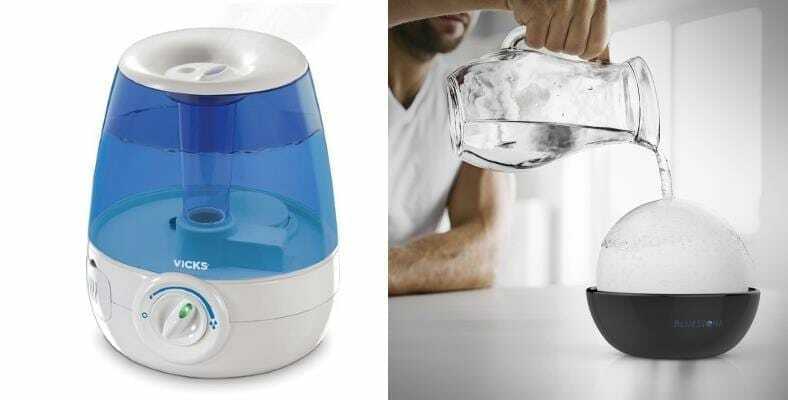 Cool mist humidifiers do so without using heat in the process. They use electromechanical or other methods (like ultrasonic oscillation) to release non-heated water vapor into the air. Warm mist humidifiers work like steamers: heat is used to produce warm water vapor into the air which raises the room’s humidity. Both types must be refilled with clean water when the supply runs out. Normally a tank is used to store water to provide several hours of use. One benefit of warm mist humidifiers for your baby is that they’re often helpful when a child is sick. Especially with colds or other nose or sinus conditions. By comparison, evaporative models work on the principle of how moisture is released over time from standing water (typically in a bowl of some kind) into the surrounding air until the moisture level reaches a balance. Unlike electric-powered models, they produce zero noise but cannot supply moisture into the air as rapidly like powered products. These must be refilled with fresh, clean water as well after drying up. Today’s products are more advanced and provide much more dryness relief with far less sound produced than those of long ago. In decades past, humidifiers were usually electromechanical devices which used an electric motor. The motor spun rapidly and “whipped” the water through as small vent hole to release a fine mist into the air. Here’s a great post which goes into more detail about humidifiers and provides some examples you may find helpful. Enclosed spaces like your baby’s room and your home are highly prone to trapping many elements that can trigger allergies in a child. Or even worse – sickness. Babies are more sensitive to airborne irritants and germs because for their size they breathe in more air than adults. Additionally, they have weaker immune systems and have not built up a tolerance and resistance to common germs and allergens. The biggest and most aggravating problems come when your child is continuously exposed. Until these problem-causing particulates are dealt with properly your little one will continue to suffer. 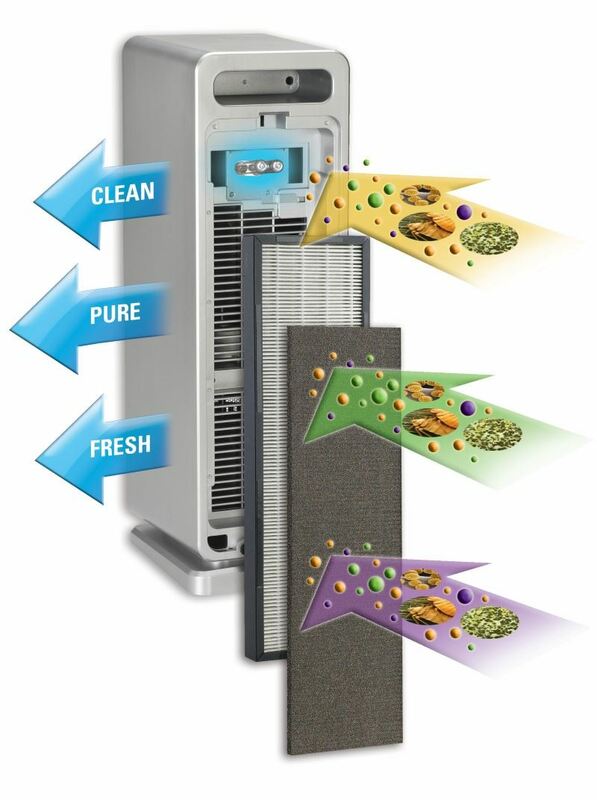 Air purifiers provide relief for many types of allergies, coughing, colds & general respiratory problems. After some time in use you’ll be able to breathe clean, fresh, and pure air in your home and the baby’s room. Air purifiers work on a simple principle: they use fans to draw in dirty air, filter it (and permanently) remove allergens, cigarette smoke particles & odors, pet dander, dust, and so much more. The fans then blow out fresh, healthy, and wonderfully fresh air back into the room. The problem with using a fan, opening a window, or using spray disinfectants or air fresheners is that they don’t address the source of the problem – the germs and unwanted materials in the air still remain and increase in amount as time goes by. An air purifier is the only real solution to this problem. Many of the problems we associate with allergies, sickness, and other conditions are actually too small to see – microscopic in size, in fact! A good, well-performing air purifier like the GermGuardian AC4900CA has a HEPA filter (white) made of highly dense material for trapping microscopic particles in the air. A secondary dual-filter may be included: an activated carbon filter (black) and pre-filter section. Together they work to trap odors, chemical vapors, dust, and hair. 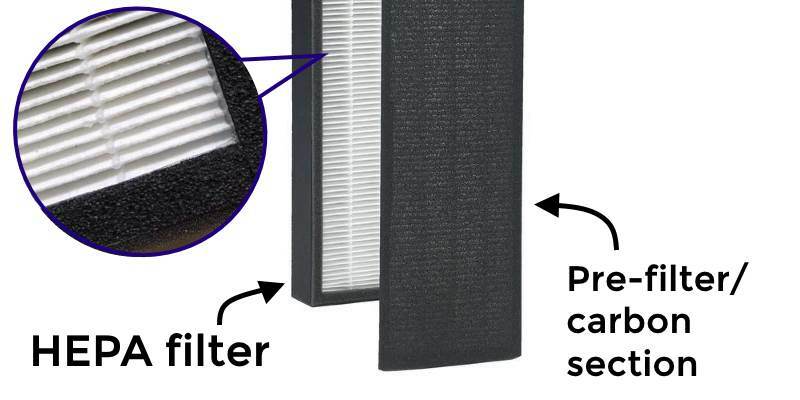 These are often called a 3-in-1 air purifier filter. Some of the most common are incredibly small! For example some dust mite particules around are around 5-10 microns in diameter. 1 micron is a unit of measurement representing 1/1,000,000 of a meter in size (also called a micrometer, or 1 uM). In the image above, PM10 and PM2.5 are labels used to indicate the size range of some particles: 10 uM and 2.5uM. An air purifier works by using an industry-standard of filtering ability called a Highly Efficient Particulate Air (HEPA) filter. This is a United States Department of Energy standard meaning it must meet the ability to filter out 99.97% of all foreign matter, down to 0.3 microns in size of the air passing through it. Foreign matter, microbes, and many other things that are harmful to your baby become trapped in the filter material and are completely removed from your child’s breathing air. Additionally, most incorporate a 1st stage filter includes an activated carbon filter. Some also include an additional filter to remove larger matter like pet hair and dust. The purpose of the carbon filter is to remove odor-causing chemical substances and vapors. When combined, this combination of filter types creates an excellent way to remove sickness and allergy causing particles and odors. Air humidifier filters are replaceable and must be swapped for a new one after a number of months depending upon the amount of particles removed. 6-8 months are typical replacement times. Again, remember that a mist humidifier works fairly rapidly while an evaporative product does not, so you’ll want to buy a mist-type humidifier. Here’s a good example of an affordable mist humidifier that's a great choice. Can I use a humidifier and an air purifier together? Yes, absolutely! They don’t affect the performance of each other and together they make a great team. A humidifier can improve the comfort of your air related to moisture while a purifier will clean and freshen the air. Also it can relieve allergies and remove those odors you hate. If you’ve got pets or smokers nearby you know exactly what I’m referring to. 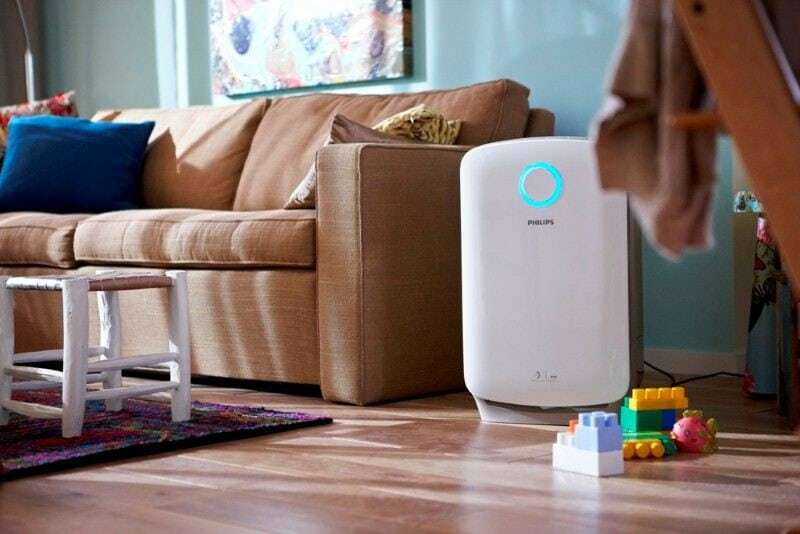 For some of the best air purifiers on a budget, check out this helpful buying guide. Have a look at my review of the best-selling GermGuardian AC4825 purifier. I own it and highly recommend it. If you’re wondering how much a humidifier costs and what they’re like, here's an excellent one that I use personally and can be found at Amazon. Want to learn more about humidifiers? You can read more about humidifiers and what they do here. How Long Does A Toaster Oven Take To Preheat? See What I Found! Air humidifier helps to improve the humidity level in the air, these products getting the good attention of people because of the weather change. These products also helpful for babies, as you explained in the whole article. this is the perfect review for this product. Excellent write up. You should look to expand on this by looking at some of the new style humidifier and air purifier in one products. They save a lot of space and money buying two different machines. Hi there. That’s actually a good idea. Thanks – I’ll look into that! You didn’t mention oxygen and carbon dioxide. Air purifiers don’t increase oxygen as we used it up by breathing and they don’t reduce carbon dioxide as we add to it by exhaling. The real solution is to take outside air (even if its polluted because all air comes from outside eventually unless you have an air manufacturing factory in your basement or 5000 plants in the room) and filter it before it comes into the room. Air filters should be mounted outside, like many air conditioners are. This allows them to be run at higher fan levels and the closed window will prevent us from hearing them. Noise is the worst thing about air purifiers. Another idea is to have outside air pass over plants in the window sill for purification but I don’t think plants work well enough for this to be practical. Your window sill would probably have to be 20 feet thick! Hi there and thanks for dropping by. I’ll address your comments one at a time here in order to keep things organized. >You didn’t mention oxygen and carbon dioxide. Air purifiers don’t increase oxygen as we used it up by breathing and they don’t reduce carbon dioxide as we add to it by exhaling. Yes, I didn’t mention oxygen or carbon dioxide in the topic of air purifiers and/or humidifiers because it’s not relevant, and isn’t an issue. I’m not sure I’m following your thought process here. Air purifiers don’t have any impact on the breathing air in an enclosed space like a room or home aside from making it healthier to breathe. There’s no reason to affect carbon dioxide or oxygen in a normal situation. They simply circulate air and remove unwanted substances, leaving the original oxygen untouched. >The real solution is to take outside air … and filter it before it comes into the room. Air filters should be mounted outside. I’m afraid this isn’t correct because it won’t work for the most basic indoor air quality problems that air purifiers solve. Plants have no effect on solid particles from the air like air purifiers can. Also, bringing in more fresh outdoor from outside is nice, but again won’t remove the existing dirty particles indoors. 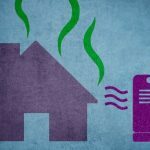 There’s only one practical (and safe) way to do that, and that’s by using a filter-type HEPA air purifier indoors to remove them permanently. >Noise is the worst thing about air purifiers. Well, not for those you buy for your home like you’ll find on my site. Many models you can buy are super-quiet. In fact the most recent model I tested (the nice Winix 5500-2) was one of the most quiet I’ve ever measured, with a noise level in range of only 42dB+ (where 39.3dB was a quiet room) on low, medium, and high settings. Many brands and models I’ve tested are very similar – they all offer fairly quiet operation and many offer a super-quiet sleep mode.